Fall Branch Falls, Blue Ridge, Georgia. February 13, 2012. Betsy and I keep an eye out for new waterfalls when we travel. We usually take one or more of our waterfall books and even notes we have made as a result of internet searches for waterfalls. I guess you could say we like to be prepared. We planned to spend a couple of days in Hiawassee, Georgia, over Valentine Day this year, and on our way we found ourselves near Blue Ridge, Georgia. Betsy remembered reading something about a waterfall near Blue Ridge, so she got out our book and gave me the directions to Fall Branch Falls. Fall Branch Falls is off the beaten path, but we got to the trailhead without too much difficulty. The hike itself was fairly short and very pleasant. We got to the viewing platform and had this beautiful waterfall all to ourselves. What a wonderful way to break up a trip. Upper Waterfall on Laurel Creek, Beckwith, West Virginia. March 7, 2012. We traveled to West Virginia to celebrate my birthday earlier this month. It was a very wonderful trip, and we were rewarded with several new waterfalls for our ‘collection’. 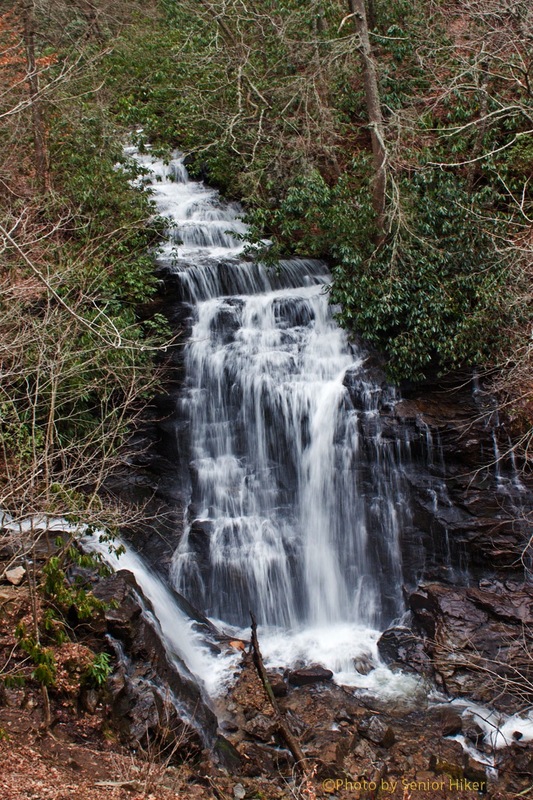 While driving toward Gauley Bridge on SR 16, we came upon two waterfalls on Laurel Creek. The road follows the creek here, and it was very easy to find both waterfalls. Of course we just had to stop and get some pictures. This is a photo of the Upper (larger) Waterfall on Laurel Creek. Collins Creek Falls, Great Smoky Mountains, North Carolina. January 31, 2012. 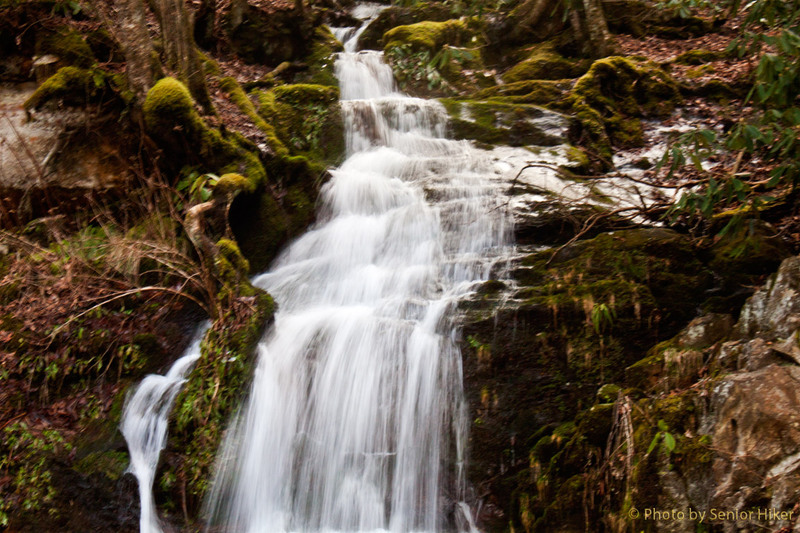 There are many small waterfalls in the Smoky Mountains. Many are in the back country and can only be reached by hiking. But others can be seen from the road, if you know where to look. Collins Creek Falls is right alongside the Newfound Gap Road between Cherokee, North Carolina, and Gatlinburg, Tennessee. It’s small, but pretty, especially in the Winter and Spring. Dierks Lake, Arkansas. February 27, 2012. Betsy and I went searching for waterfalls on our first day in Arkansas, and while coming back from a bushwhack to see Panther Bluff Falls, we met the caretaker of a camping area nearby who recommend we visit Dierks Lake, which was only a mile or so down the road. 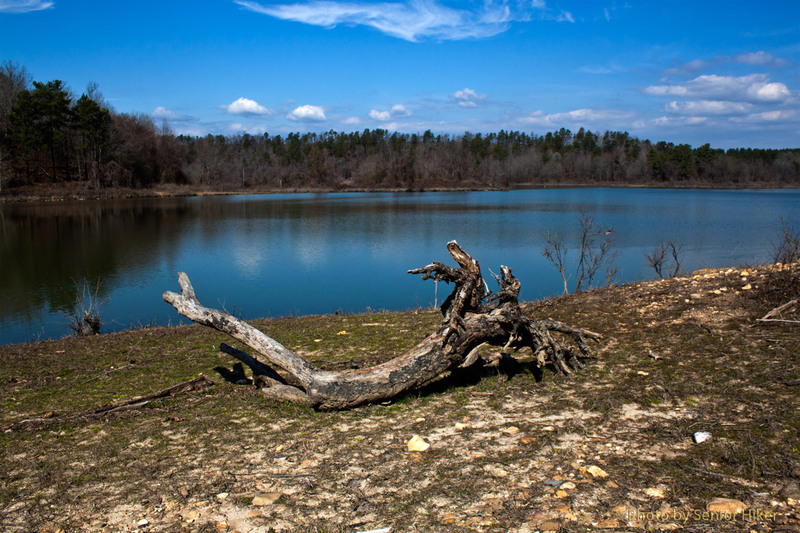 Dierks Lake was formed when the Army Corps of Engineers built a dam on the Saline River in southwestern Arkansas. The picture above was taken near the public boat ramp on the lake. I’m glad we took the caretaker’s advice. Mingo Falls, Cherokee, North Carolina. January 31, 2012. Mingo Falls is a 150-foot beauty near Cherokee, North Carolina. It is easy to get to Fa, and the hike from the trailhead is steep, but short. There are stairs for much of the way. We visited Mingo Falls on January 31 of this year when a rock slide on the interstate caused us to take a detour through the Smoky Mountains. Soco Falls, Cherokee, North Carolina. January 31, 2012. Thanks to the rock slide that closed the interstate and our detour through the Smoky Mountains, Betsy and I were able to revisit Soco Falls. 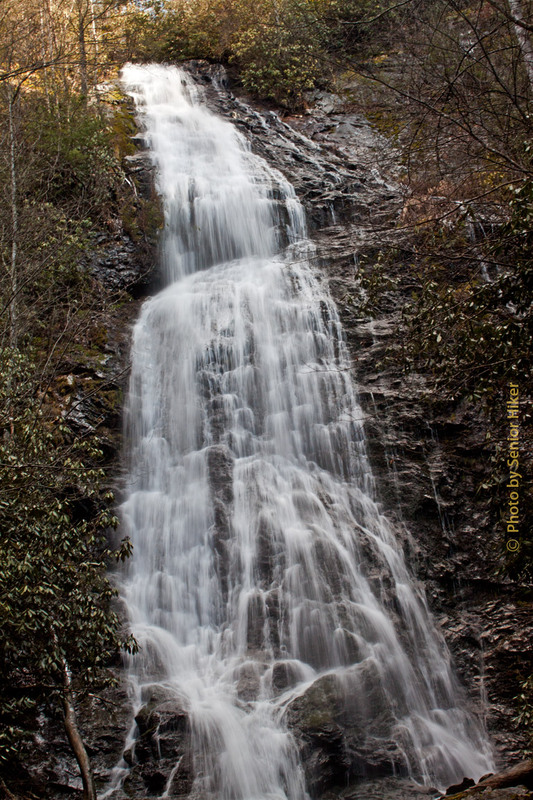 Soco Falls is on the Qualla Indian Reservation between Maggie Valley and Cherokee in North Carolina. The pull off is on a hairpin turn and is easy to miss, but I’m glad we didn’t miss it. We had this beautiful waterfall all to ourselves. 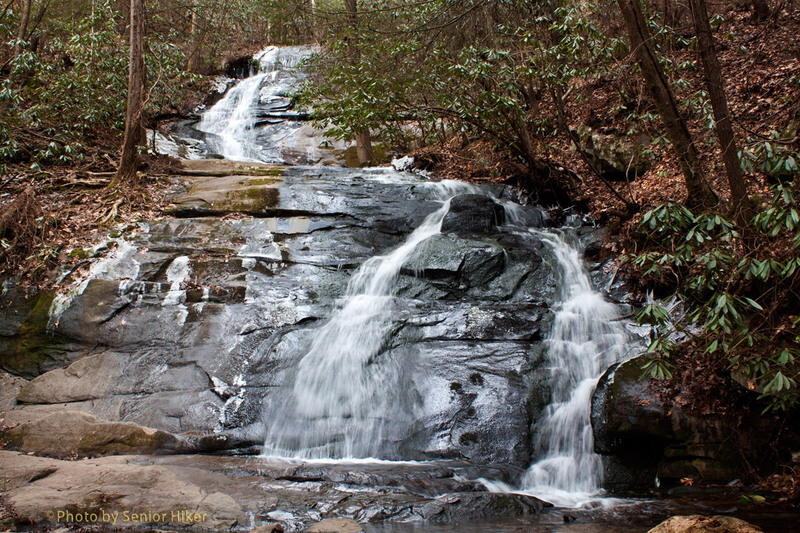 Falls on Reems Creek, Lake Louise Park, Weaverville, North Carolina. January 31, 2012. When we travel, Betsy and I usually check to see if there are any waterfalls in the area to which we are travelling. We went to the Biltmore Estate in Asheville at the end of January, and searching the internet told us a waterfall in nearby Weaverville, North Carolina. So the morning after visiting Biltmore we travelled to Weaverville before heading home. 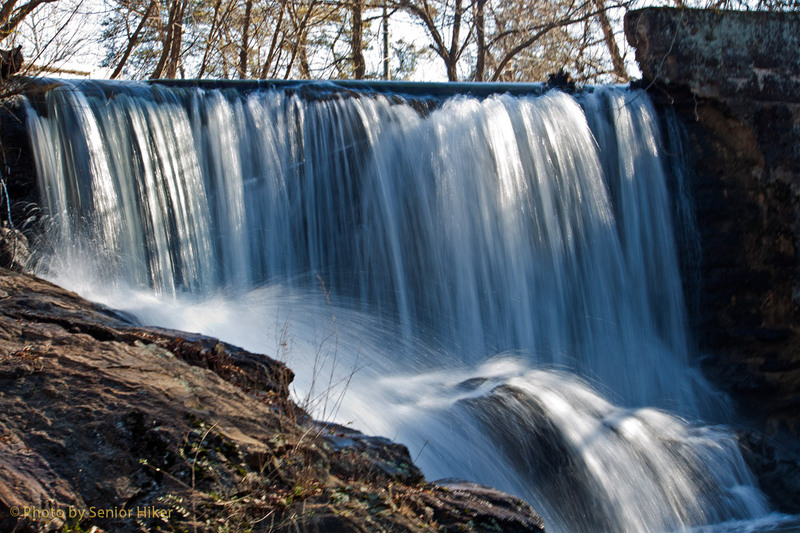 The Falls on Reems Creek are actually caused by a dam at the site of an old mill. But it is still a pretty sight, and we were very happy to add this to our collection. We were planning on seeing another new waterfall on the way home, but a rockslide on Interstate 40 closed the highway, so we had to go home by a different route. That second waterfall will have to wait until we make another trip to Asheville. Mirror Lake fountain, Fairfield Glade, Tennessee. February 7, 2012. Yesterday Betsy and I walked around two of the small lakes here in Fairfield Glade. It was a beautiful but chilly day with bright sunshine and blue skies. One of the lakes, Mirror Lake, has a fountain. 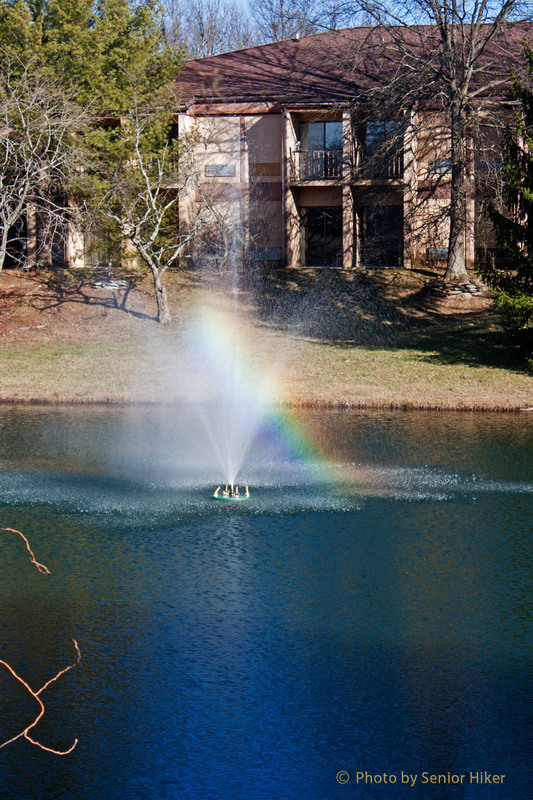 As we were walking back to our car I noticed a rainbow created by the fountain. I was able to capture the rainbow in this photo. 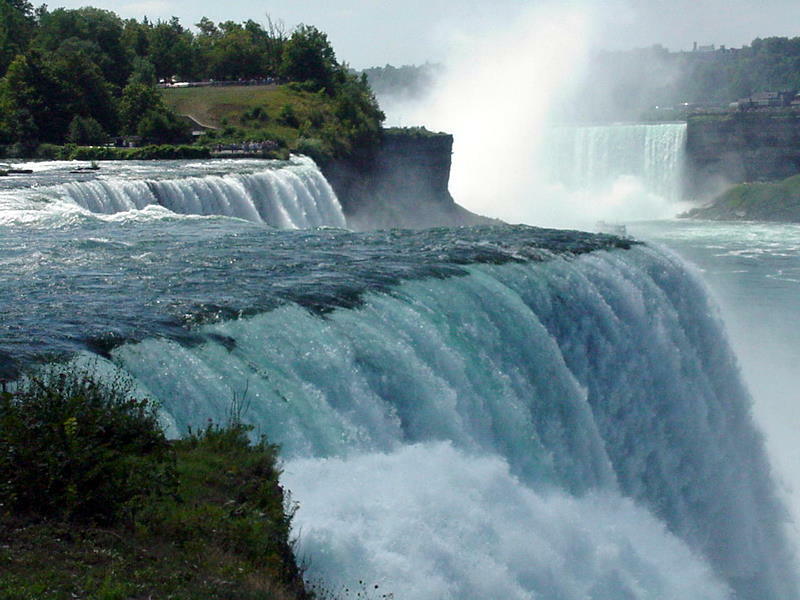 The American and Canadian Falls at Niagara, Niagara Falls, New York. August 30, 2002. This is one of the few pictures that I got of both the American (foreground) and the Canadian (background) falls at Niagara. If you look closely you can even see The Maid of the Mist in the river hear the Canadian Falls. This picture was taken in 2002 from the state park on the American side of the river. 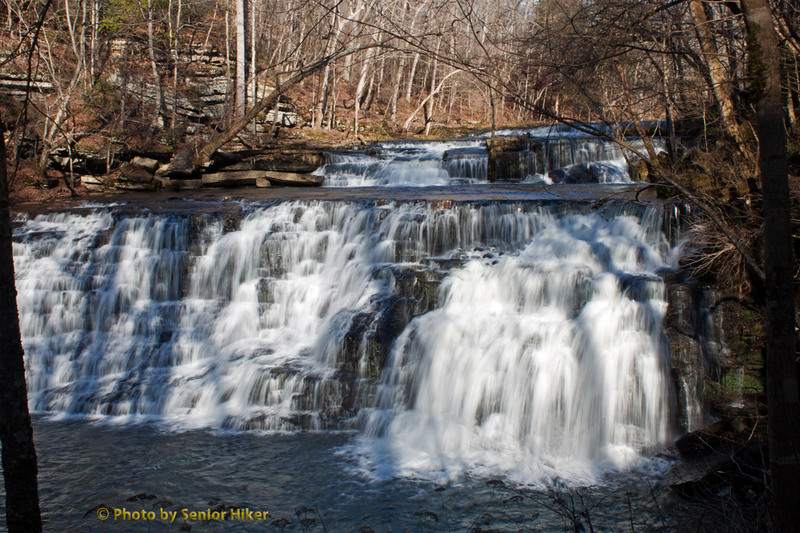 Rutledge Falls, Tullahoma, Tennessee. January 19, 2012. After visiting Dad last week in Tullahoma, Betsy and I decided to swing by Rutledge Falls on our way home. We had been there a couple of years ago, but thought since we’ve had a pretty wet year that there might be more water this time. We were right. 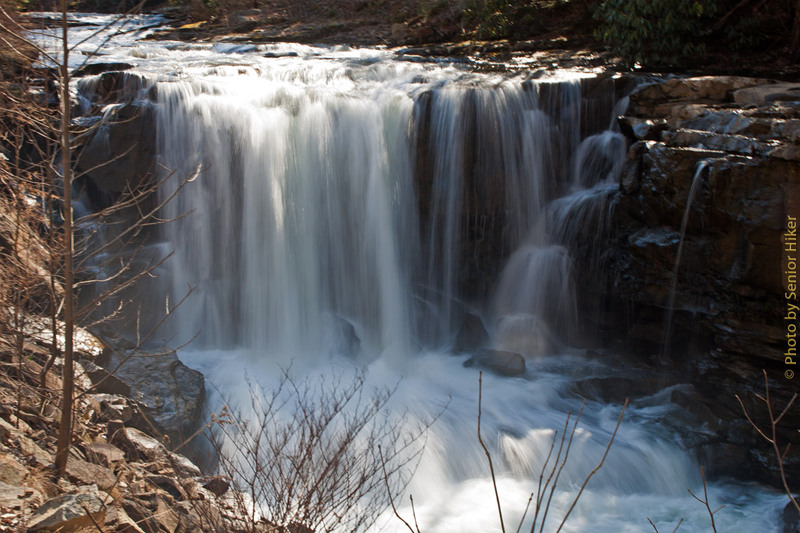 Rutledge Falls is on private property, but the owners have made it accessible to the public. We are thankful that they are willing to share this beauty with us.